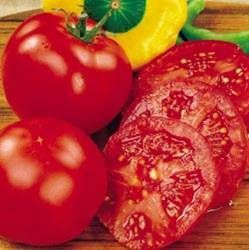 Often referred to as “the best of the west,” the Early Girl is a tomato favorite for many. It was developed for gardeners who live in cool climates and areas where extreme temperatures were common. The Early Girl produces red juicy tomatoes within 2 months of transplanting. This perennial plant matures quickly with a guaranteed hearty yield that keeps producing all season long. Just like other tomato plants, this one is vigorous and tall growing, so a wire cage would be helpful to provide support. If you are in the market for a short season, 4-6 oz. fresh, sweet-flavored tomato, the Early Girl is for you. It is resistant to fusarium wilt and verticillium wilt. What you need to know about Early Girl Tomatoes.